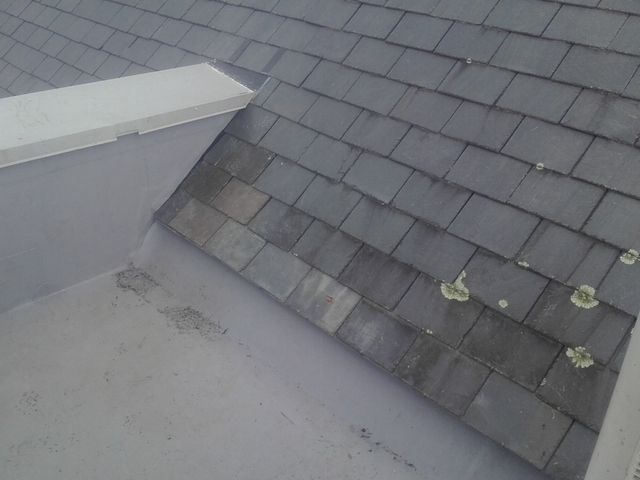 This is the first slate roof I have worked on; my experience involves tile, shingle, metal and low slope roofing. 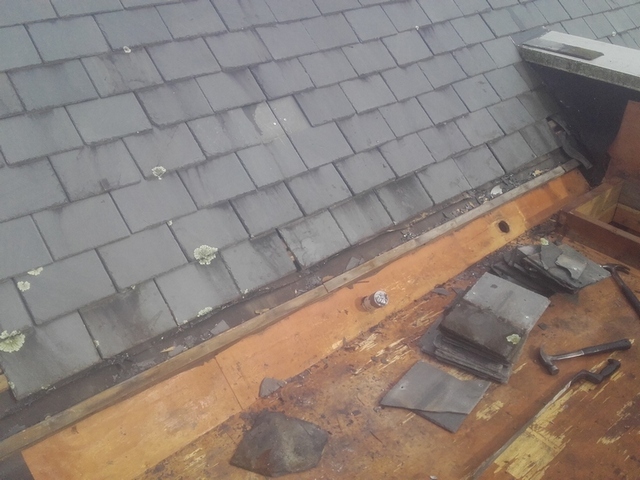 I am glad I came across this site a couple of years ago, when researching before starting a large EcoStar majestic slate job; ended up buying Joe's book and some basic slate tools at that time. The house was built in 2000; this is its third roof, after the firs 2 failed because of poor quality Spanish slate; the current roof is Chinese slate, that seems relatively hard; I was able to compare with the Spanish stuff because the installer left the Spanish starter course slates in place--not good as they disintegrated when removal was attempted. 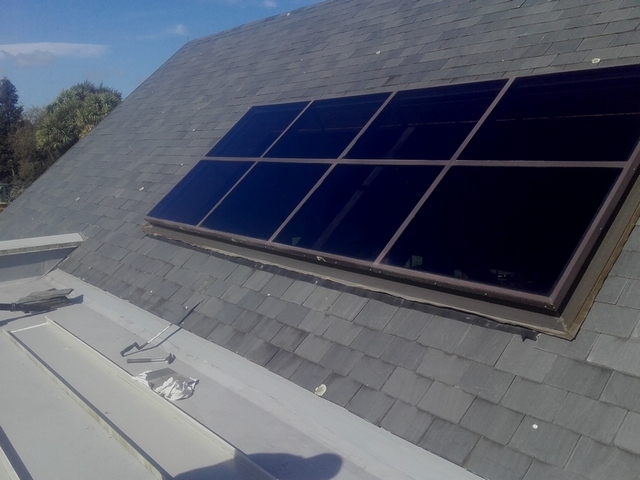 Our contract was to replace nearly worn-out rubber roofing on 5 low slope roof areas, using TPO. 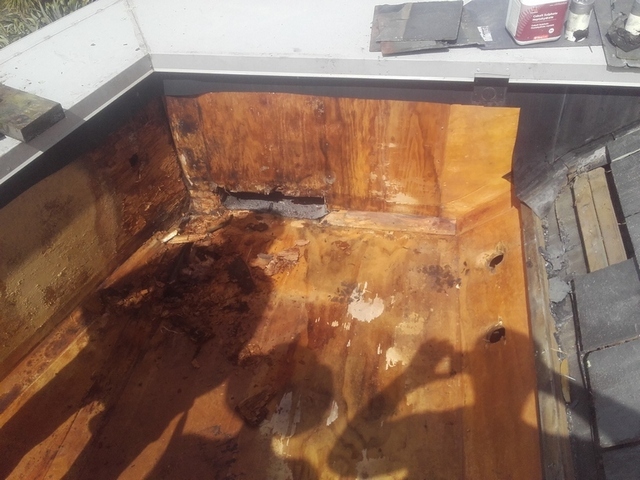 On 4 out of the 5, leaks in the rubber, and the parapet caps, had resulted in extensive rot in both the plywood and underlying structure, so quite a bit of carpentry was needed in addition to the roofing.